Is a true American hero, and easily the best player of the tourney. Hell of a final, to boot. Oh well, back to the NHL grind! 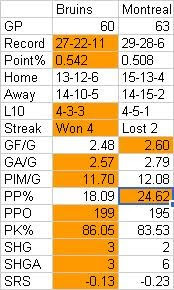 Trade deadline is tomorrow at 3pm, Bruins will likely make some move but...To be honest they're worse, in terms of points accumulated after 60 games, than the 08 team that barely squeaked into the playoffs. It's not like they're out or anything, they're just not doing as well. The NHL is back, baby!